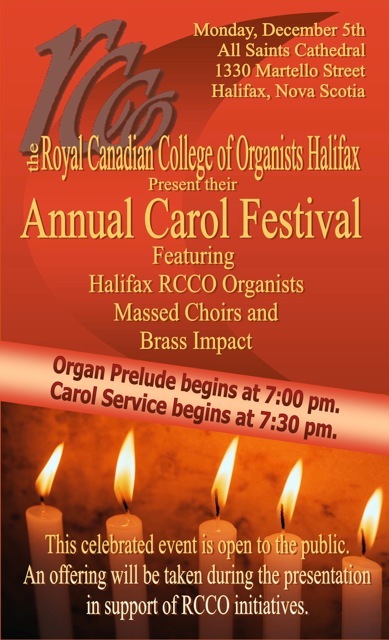 RCCO Carol Service - Dec.6 (7pm) Cathedral Church of All Saints, Halifax. The deadline to nominate an individual, youth or group for an HRM Volunteer Award is extended to Friday, December 16th. 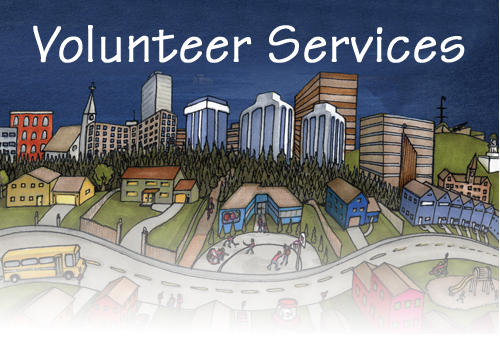 It's a great opportunity to recognize someone who goes above and beyond in volunteering their time and skills to provide services and programs in HRM communities. Print the attached poster and post it prominently where all your volunteers will see it. Or forward it as an email. Each year Mayor Peter Kelly and Halifax Regional Council recognize the extraordinary contributions of individuals and groups who volunteer their time and skills to provide services and programs in HRM communities. HRM is now accepting nominations for the 2012 Volunteer Awards. Nominations are accepted in three categories: adult, youth (ages 13-19) and community group. 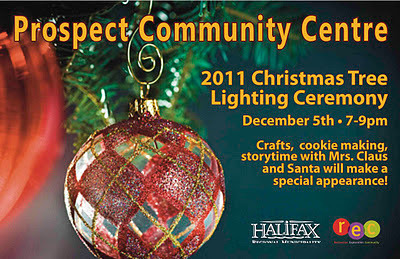 Nomination criteria and applications can be found online at www.halifax.ca/volunteerservices. Successful nominees will be notified in March 2012 and will be invited to attend a ceremony and reception taking place on April 18, 2012 when they will be officially presented with their award by Mayor Kelly and the councillor from their district. The award ceremony coincides with and is in celebration of National Volunteer Week, April 15-April 21, 2012. From those selected to receive an HRM Volunteer Award, ten representatives will be sent on to the Provincial Volunteer Awards. The deadline for nominations for the 2012 awards is Friday, December 16, 2011. To find out more information about the awards, nomination criteria and to nominate someone who's made a difference in your community, visit www.halifax.ca/volunteerservices . Know an adult, youth or community group that went over and above in giving back to their community? Nominate them for an HRM Volunteer Award by December 9th. Nomination criteria and applications can be found at www.halifax.ca/volunteerservices. Thursday afternoon planning session, Nov 17th, 2011. 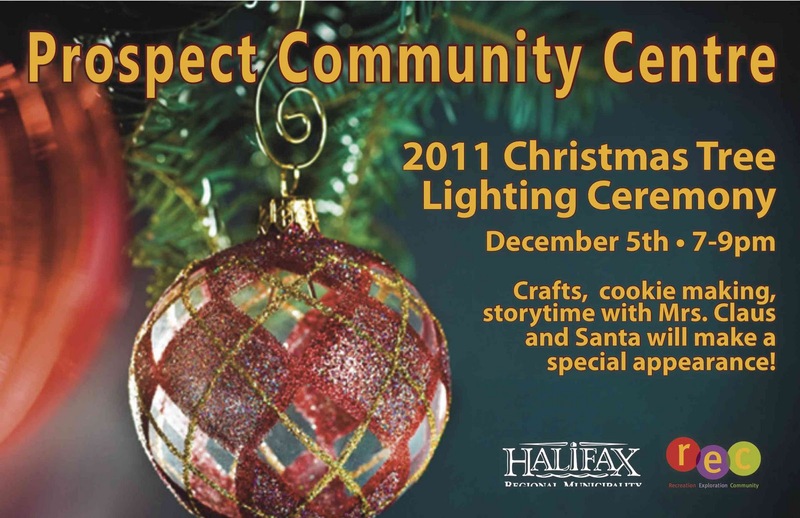 It is taking place at the Sackville Heights Community Centre, 45 Connolly Road in Sackville. We will be meeting in the boardroom. For anyone attending and not familiar with this very large Community Centre, the Boardroom is the first door on the left just inside the front door, when you go through that door you are facing 2 doors in a short hall and the Boardroom is the door on your left. Many thanks to Larry Bell for the directions. 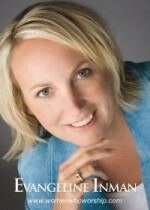 7 p.m. on Thursday, November 17,2011 at the Tantallon Public Library. Host group is the Five Bridges Wilderness Heritage Trust. All Welcome. For more information please contact Beth McGee at 823-2245 or John Cascadden at 852-4886. Thank you to those who have already registered or RSVP'd! For those who haven't quite decided, here's a last minute chance to register for the Dartmouth Area Watersheds Network Gathering to be held on Saturday, November 19th at the Fairbanks Centre, 54 Locks Road (Shubenacadie Canal Commission Headquarters) from 8:30 am - 1:00 pm. You are welcome to come for part or all of the Gathering. The conference will bring together concerned citizens, engaged activists, and experts from across Nova Scotia, New Brunswick and beyond. Don't miss this opportunity to take part in engaging workshops and hear from two exciting keynote speakers (Dr. Tony Ingraffea, Cornell University and Jessica Ernst)!! Our dedicated volunteer BBQ chefs! 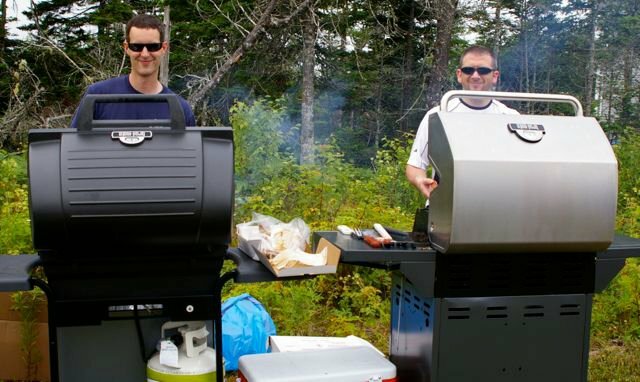 Last summer, the BCHA hosted a community BBQ on the park land at Melanson Lane to gather your input about what kind of park you would like to see at this location. Since then, we have been working to make your dreams a reality. Today, the visible work began! This year, the funds allotted for our community work are a just fraction of past years so we struggled with what could be accomplished with our minimal budget. After researching the physical composition of the land as well as reviewing the cost of the plans for the space, it was determined that the best starting point was to prepare the entry way and the parking area leading into the park. 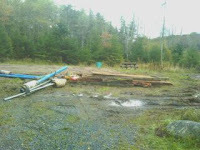 The plans for play equipment, a picnic area, seating and an alternate entrance are all part of work to be done at this park over the following seasons/years as time and funds permit. If you have any great ideas where we might be able to secure additional funding, please be sure to let us know. Widening the gap a bit! 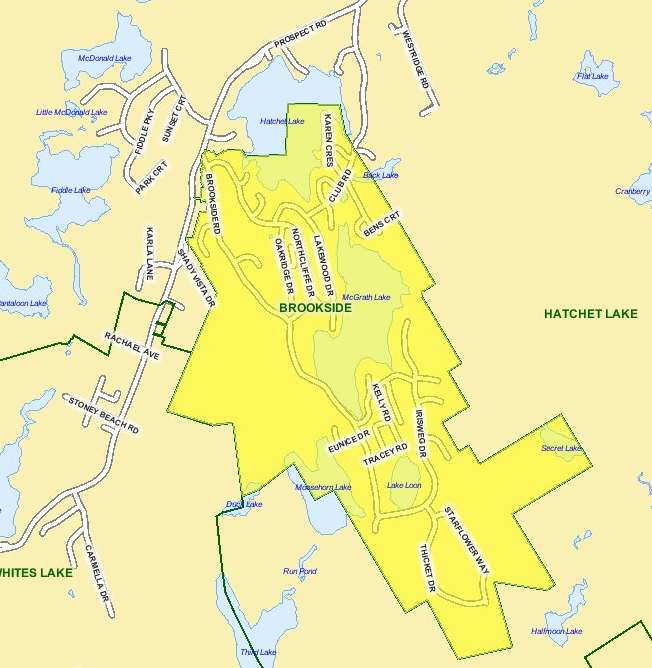 There are currently only 6 of us working to complete the BHCA projects in Brookside. Many hands make light work. If you feel that you could help in any way, your input would be most welcome. Some things that you, your children, or family might be interested in. Can't wait til summer to get back to camp? You don't have to anymore! This is your chance to escape the humdrum of simply living life week to week. Space is limited so we encourage campers to register early! Join us for a getaway weekend! Visit us online at www.baysidecamp.org for more information on our retreats and events. We are striving to create life-changing camp experiences for everyone at Bayside Camp and as part of the review of our summer camps we would like to invite you to complete a simple, short survey. Everyone who walks the bicycle trail at Yeadon Green will have noticed that the old playground equipment has been removed in preparation for a facelift! BCHA has been working with HRM for the past 3 summers to improve the playground at this park and we're excited that it's underway! Special thanks to Councillor Reg Rankin for his support of this project. 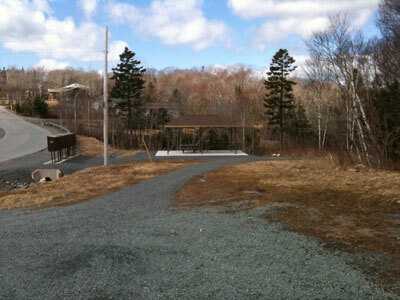 Phase I began last fall with improvements to the drainage pathways behind the old play equipment. That work helped divert water away from the play area. The weather this summer has helped us identify other areas where drainage can be improved. Phase II begins this fall with the removal of the old equipment (pics below) and will continue with raising the play area and improving the grading so that water will drain off into the existing waterways. Phase III includes installing new play equipment complete with swings, a climbing apparatus, slides and new cribbing and gravel around it all. HRM currently has this work out to tender. 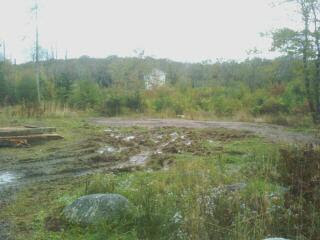 If all goes well, the new playground will be ready for use in the Spring! If you would like to be involved in making positive changes like this one in our community, please contact info@bcha.ca - we are always in need of volunteers who wish to make a difference. Come out for a fun family evening, free popcorn and drinks provided. All welcomed. This very busy wife and mother has experienced God's healing power in her life. She was unable to speak until the age of five when she was miraculously and instantly healed. The God of all comfort gave her an emotional healing in her 30's after the death of her three year old son. Evangeline has witnessed the supernatural in her life and desires to bring glory to the Name of Jesus. Evangeline has spoken on behalf of Compassion Canada and World Vision to help improvised children around the world. She has traveled and ministered to the hurting on 3 different continents. She is the founder and president of Women Who Worship conferences and has hosted 23 conferences with well over 10,000 attendees. 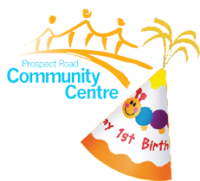 Due to a lack of feedback, and confirmations we have cancelled the Open House meetings previously scheduled for Saturday, October 8th 2011 at the Prospect Road Community Centre, and the Tantallon Library. Please forward this message to any, and all rate payer/home owner associations & their members, community groups, residents, and other interested parties located within Districts 22 & 23 that you may have previously alerted concerning the proposed meetings. I want to thank Councillors Rankin, and Lund for making room in their schedules to attend the proposed but now cancelled Open House meetings; your support is always greatly appreciated. 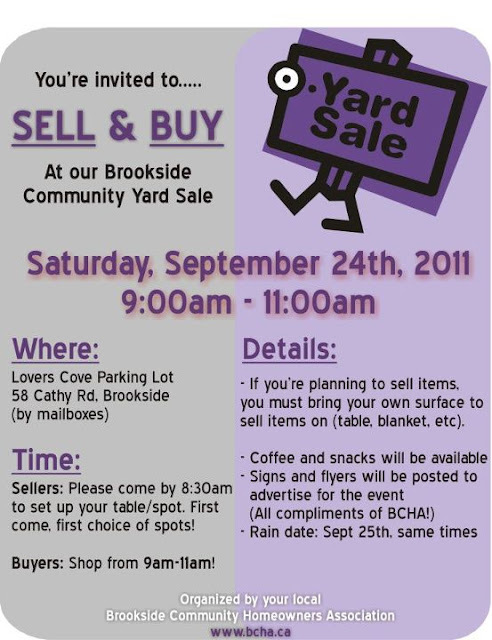 This event will be cancelled on October 1st 2011, if inadequate confirmations are received. so we'll aim for Sunday morning instead! 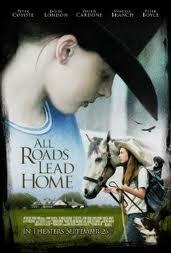 FREE movie night at New Life Baptist Church is this Saturday (Sept. 17th) on the big screen at 6:30pm. 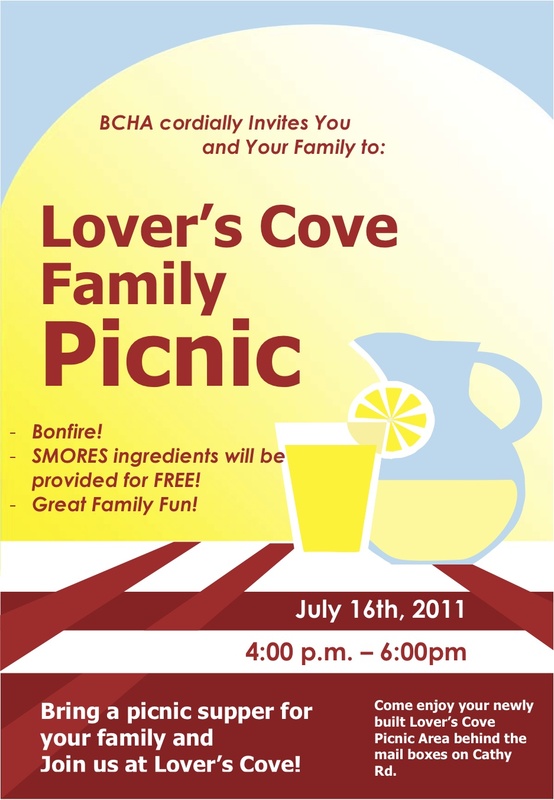 Playing - Soul Surfer Come out for a fun family evening, free popcorn and drinks provided. All welcomed. Hope to see you there. Halifax C & D & Tire Recycling invites you to take a tour of our facilities and see firsthand the rate of waste diversion from local landfills and the many new uses for materials produced. Originally established in 1995, Halifax C&D is a Nova Scotian business specializing in recycling. Halifax C&D is a leader in construction and demolition waste management with a diversion rate of over 75%. into an environmentally inert shredded tire product known as Tire Derived Aggregate (TDA). In the tire plants first year of production, beginning May 1st 2010, 1.228 million tires were processed into TDA type B at the Goodwood facility. Halifax C&D & Tire Recycling are "Recycling The Present To Preserve The Future"
This is a reminder that our annual Blessing of the Boats is happening this Sunday, July 31st, at 2:30 down by the monument at the SS Atlantic Heritage Park with a reception to follow in the Terence Bay Firehall. Every year, a large crowd participates in the service around the SS Atlantic Monument. As many as 50 boats might also be spotted on the water in the Terence Bay observing the service. This event has been a community tradition for over 30 years! Feel free to call 852-1557 for more details. Email info@bcha.ca or call Valerei at 852-3973 with any questions! Reminder: Prospect Road and area Recreation Association AGM Tonight! A reminder that the Prospect Road and area Recreation Association is holding their AGM tonight (Monday, June 13th) at the Prospect Road Community Centre. The meeting will begin at 7pm. Be there to hear the latest news! 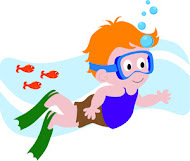 On Saturday, May 28th at 9am, the BCHA invites all community members to plant a memory at Lover's Cove Park on Cathy Road in Brookside. This is a family event and everyone is welcome! Please invite your family, friends and neighbors! Sunday, May 29th at 9am. My name is Kelsey Holt and I am a grade 11 student at Halifax West High School, currently enrolled in the International Baccalaureate Programme. I am a resident of the Hatchet Lake area. I am writing to tell you about my upcoming trip to Poland where I will be acting as a young Ambassador for Canada with Coalition for Kids International. I am participating in the Coalition’s Journeys for a Lifetime program. In July of 2011 I will be going on a twelve day trip to Poland with five other teenagers to grant the wishes of many terminally-ill and underprivileged children in their homes and in hospitals. After hearing about the extraordinary work that the Coalition does, and their commitment to children, I had no doubt that this was the perfect trip for me to participate in. Not only will it be a life-changing experience for me and the children I will help, it will be a great way to better myself and represent our community. I am seeking sponsors to help make this possible. Individual sponsors who support me will receive a complimentary copy of the Coalition’s 4-track Single and Music Video CD-ROM “Flight of Angels”. Recorded in London's Library Studios, by a collection of amazing artists and musicians, who all contributed their time, anonymously, to record and film the song as a reminder to everyone that each time a Coalition kid "takes off" to grant the wishes of terminally-ill and underprivileged children, they are taking a 'flight of angels'. Company sponsors who support me by contributing a minimum of $50 will have their logo and web-link displayed on the Coalition’s website for one year. Companies will receive an invoice for advertising which is a deductible business expense. Companies can send their logo to my email which I will forward to the Coalition. More information about Coalition for Kids International and Journeys for a Lifetime can be found by visiting www.coalitionforkids.ca and I can be reached by contacting the BCHA. I would be pleased to meet with you in person at any time to tell you more about the Coalition and my trip. To support Kelsey, please email the BCHA for her contact information. 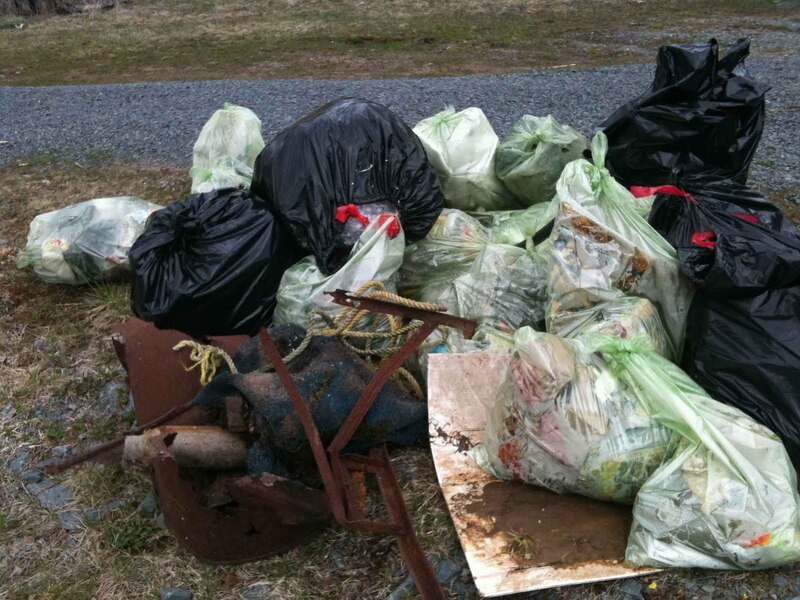 At 10 am on Saturday April 30th, STAND OUTSIDE your residence and join your family and your neighbour’s by together doing a quick cleanup of your ditches and other common property nearby. Place debris/bags on roadside for pickup by BCHA. Preparing our parks for another summer season. This is part of a Prospect communities initiative so don’t let your area down. or until the food runs out! 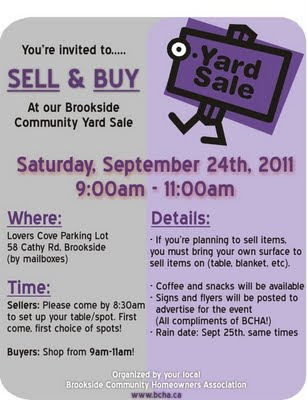 So help make Brookside STAND OUT!